After a long day, I thought I would share a bit of light relief I stumbled upon. I decided to enter this establishment. It was wonderful. The pub was filled with customers. There was what appeared to be World War II vintage coin pin-up art on the walls; the dance floor was full with couples dancing to the old standards like “Pennies from Heaven” and “Three Coins in the Fountain;” and, the bar top was covered in coins under glass. It looked like a great place to meet other people with the same interest in Coin Collecting, too. Having seen this bar, I thought I should get a woman’s perspective on this place. I called a woman I know, let’s call her Penny, and I asked her to check the pub out. Penny is a tall lady about 5’10” tall, with long blonde hair and baby blue eyes, and all the curves in just the right places, but above anything else, she has this insatiable desire for collecting coins. It seems she just hasn’t met the right kind of guy for her. It took about an hour and a half to talk Penny into a visit of this quaint little pub. I escorted her there the next evening, but once we were inside, she was on her own. It was for research. I had a great time, but Penny got into a little trouble towards the end of the evening when she hit one of the patrons. I’ll tell you more about that later. Penny just didn’t seem to have as nice a time as I did. At the end of the evening, she told me that all these guys kept trying to pick her up, and she just couldn’t believe some of the lines these men were using. The following are just ten of the worse pick-up lines she heard that evening. #10 – Your name is Penny? So, if I pick you up, I’ll have good luck? #9 – A 1995 double die penny for your thoughts. #7 – If I help you catalog your coins, will you whiz my Saint? #6 – Want to get Certified? #5 – I’m not really this tall, I’m just sitting on my wallet. #4 – Hi, I’m from PCGS (Professional Coin Grading Services), and I’m here to see if you make the grade. #3 – You must be the model for the ’07 Saint Gaudens’ $20 gold piece because you’re definitely high relief. #2 – I could just have a roll of Silver Dollars in my pocket, or maybe I’m just glad to see you. And, the #1 worse pick-up line used in the Coin Collecting pub was: I bet you were the model for the Standing Liberty Quarter....Show me your right breast, and I’ll know for sure. I guess Penny didn’t have as much fun as I did, but I did promise to tell you about the trouble in which she became ensnarled. Seems this non-coin collecting fellow wandered into the pub. Seeing Penny, he immediately fell head over heels for her. He approached, spoke, and that’s when she hit him. She hit him so hard, he flew over two tables, and landed flat on his back, a knock out to you boxing fans. I rushed her out of there before the police showed up, and asked her what happened. I have to remember that one, its good. If I were single, sitting in a pub, in my present financial situation, that one just might just catch my ear :biggrin:. Now, now. Is Kit W also a stodgy old man? Kit, where are you? You are lucky/unlucky ,you did not told us. If you would say 'Choice Grade' (rather than Mint state) you may -------------------. Net munt-kondisie en ongesirkuleerd, anders wil hulle jou nie ken nie. Alas she was a common year and sold for a song! Said she, "A barrel of snuff, if you please." grabbed poor Penny and put her up against the tree.. It's so difficult to be an ignoramus ...!! 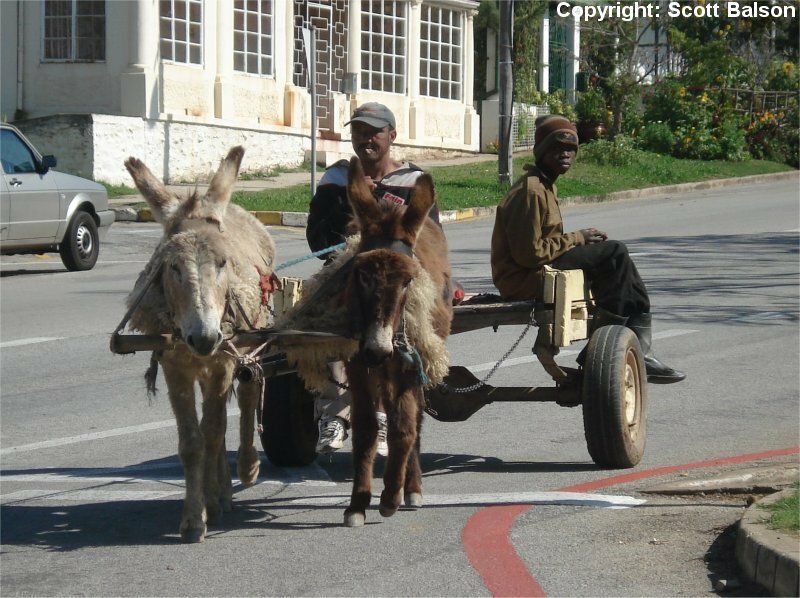 I have to tell you I have very fond memories of beautiful Grahamstown... but this photo I took in 2006 is my favourite..
See if you can work out the location! I can understand why the Coke bottle tops are so "old and collectable" there, and maybe the odd donkey driven cart was to blame for their condition!